We were hoping to see an appearance of the new 2014 Vauxhall Corsa at this year’s Geneva Motor Show but it seems that enthusiasts will have to wait until September to see this being showcased. 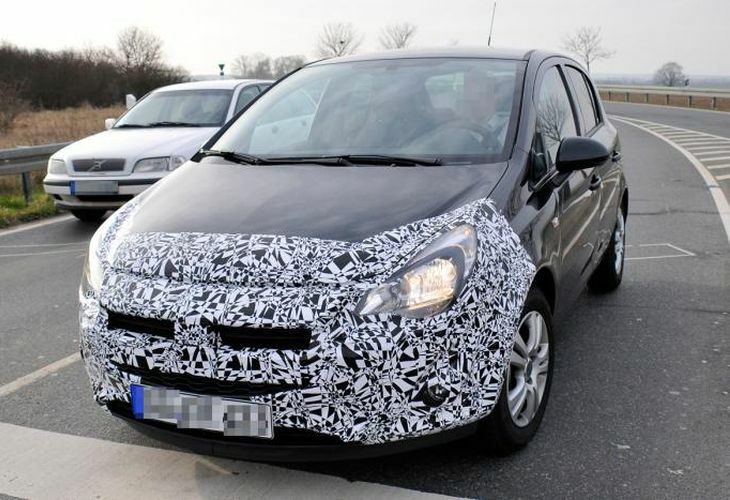 Details and images are starting to surface and from what has been seen already the new Vauxhall Corsa will be receiving an Adam-style overhaul inside and out for the 2014 version. It will be revealed fully at this year’s Paris Motor Show and designer Mark Adams recently spoke to Auto Express at the recent Geneva exhibition, which gives us the impression it is bound to have the same tail end and doors as the current version, although the revised interior and new front end makes this more like a Vauxhall Adam city car. With intricate-looking headlights this swept back edition has a wide grille with a low front number plate and with an expected reveal at this September’s Paris Motor Show the release date has been forecast to be near the end of 2014. They do not expect a big price change here, considering this is regarded as more of a facelift compared to a new model, but the differences in equipment could make this slightly more expensive than the current model. In addition, we recently discussed the new Vauxhall Corsa MIA at the Geneva Exhibition, and documented some of Mark Adams’ comments about how they used Audi as a benchmark as far as quality and finish are concerned. Therefore, those of you expecting to see the new 2014 Vauxhall Corsa being unveiled will have to hang on until September this year, while the retail version will not be available until near the end of 2014.